I’ve been coloring for a while, usually printing off pages I found on the web. I used to keep a jar of Crayolas and Spectracolor pencils on my desk at work, and color either while on a long phone call (especially a conference call where I’m listening more than conversing) or just to take a short break from a difficult task. 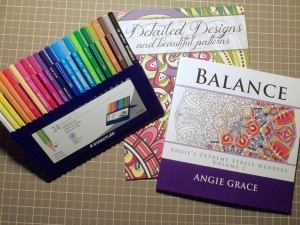 After reading a discussion about coloring books for grown-ups, I decided to up my game a bit, and ordered a couple coloring books and some of the pencils and pens recommended by Johanna Basford. 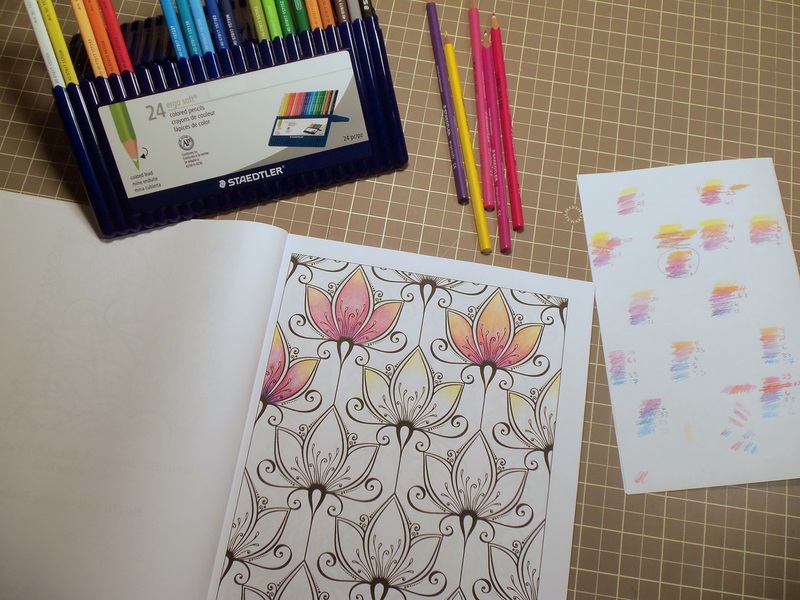 While I have the Crayolas and Spectracolors, I wanted to try the tools recommended by one of the big coloring book artists herself. I didn’t get the recommended pens – I prefer pencils on paper. However, I do like markers for Dover’s stained glass coloring books (printed on some kind of vellum? ), so I may go back for the pens later. This entry was posted in From the Workbench and tagged art, coloring, stress management, stress relief by Deborah Lee Soltesz. Bookmark the permalink.